One of the first things you’ll want to do is to become familiar with your inworld Menu buttons. The menu will pop up in your Second Life Viewer every time you click on a live Wild Kajaera Big Cat or Wild Dog, or when you click on the sacks containing newborn cubs and pups. The best way to get to know your menu is to basically experience it yourself. But, this part of the guide will help you figure out what some of the buttons do and how to navigate through the menu. Keep in mind, we added a Back button and an Exit or Ignore button to this menu. So, if you think you’ve gone somewhere you didn’t really want to go or don’t know how to navigate back, we’ve got you covered. Additionally, if you leave the Menu up for long enough, it will eventually time out, meaning that you have to click your animal or sack again to perform an action. Sanctuary – This button will send unwanted sacks to the Sanctuary. This is thought of as a haven for the WK animals a breeder would rather receive Sanctuary Points for than to breed or try to sell in the Secondary Market. Web – This button will take you to your Wild Kajaera Blog Page in your web browser. Click the “Go to page” Button to automatically bring up your web browser. Set Name – This button allows you to name your WK Animal or sack any name you wish. You can use a combination of letters and numbers for a combination of 32 characters for the name. Birth – This will open the sack and cause your newborn cub or pup to appear. From this time on, you will need to be sure you have the appropriate food available for your new WK animal. Stats – This button is vital to understanding all the traits for the animal you’re looking at. We’ve also added how rare each trait is among all other animals in the same breed, as well as a break down for the point value of each trait. Parents – This button explains the traits for each of the parents and the trait rarities. This button, coupled with the Stats Button, will help you figure out what traits will be selected from when breeding the animal inside the sack. A. Interacts – This button opens a sub-menu of other buttons, listing the actions your cat can perform with or without your interaction. This button will become available once your cat is 1 day old. At age 0, it’s really too fragile to interact with. * Lounge – Is a toggle button that can tell a specific cat to rest on any one of the Wild Kajaera items built for our cats and wolves (WK Fallen Log, WK Square Rug & Pillows, WK Coffee Table, WK Chair etc.). These can be bought from one of our vendors at our WK locations. You can also have them jump down from those items as well..
* Fish – You can ask a cat to fish, if you have the WK Funky Fish. Cats are finicky and will only fish about 50% of the time. It is best to make sure the cats range includes the area you have your WK Funky Fish set. * Climb Tree – If you have one of the many WK trees available at our WK locations, you can have your cat climb up the tree or come down from one. * Follow – You can have a cat follow you around a sim. This works really well. The cat will follow you at its own leisurely pace. You can only have one cat follow you at a time. This is a fun way to introduce your cats to you friends, having your cat chase after you when you run. * Play Toy – This will tell your cat to play with a specific toy. After clicking this button, it will have you type the name of the toy in open chat. Once you’ve done that, the cat will go after the toy. * Walk – Perhaps the best way to introduce people to your cats is to walk them. You can walk more than one cat at a time. After selecting walk, you will be asked permission to allow your cat to animate your body. After selecting “Yes”, the cat will take it’s position next to you, moving when you do, stopping when you stop. Walking more than one cat may require you to move one of the cats to a different location. Right click the cat and select edit, to bring up the “Edit” menu. Then, select the Move bullet, and adjust your cat accordingly. When you are done walking your cat, all you have to do is right click on it and select “Detach” from the menu that pops up. Your cat will now be in the Objects folder of your inventory. Just rez it on your land where you want it when you’re done. Be sure to detach your cat before you log off. If you don’t, you’ll receive a “Please wait…” message when you log back in. Just detach it and rez it where you want it on your land. Pregnant females won’t give birth when attached. It’s best to detach your cat when Pregnancy reaches 100 and rez it on your land, so it can birth its cub. * Ride! – Ride is not a button in the menu. It’s an option you can pick when you right click on a grown cat. To ride your animal, approach your cat from behind. Then, right click on your cat and select Ride! When you are riding your cat, you can jump, run, and walk it. Please note, that only certain breeds will give you the option to ride. For the most part, this is due to avatars being too big to ride certain sized animals, like a Cheetah or Leopard. * Couple – You pair your cat with its mate using this button. Once you click Couple, you will be asked the name of the cat you want to mate it with in open chat. Both, your cat and its potential mate need to be within chat range, a 20 meter radius, for coupling to occur. You will receive a message in open chat indicating that the coupling was a success. * Uncouple – This will separate coupled cats. You can’t uncouple cats that are already pregnant. Both cats must be within chat range. * Everyone’s – This option allows your cat to be coupled with anyone else’s cat within chat range from your cat. For this to work, the potential mate you want to have your cat breed with has to be set to Everyone’s as well. * Group – This option allows your cat to be coupled with a group member’s cat. Both coupled cats need to be in the same group and both cats have to be set to “Group”. You can change the group the cat is in by right clicking on the cat, and changing it in the “General” tab of the edit box. * Owner – By default, your cat will only mate with your own cats. If your cat was selected to mate with another one from the “Everyone’s” or “Group” button, you can revert it back to only breeding with yours using this button. * Pet – Once you are through breeding your cat, you can select to turn it back to eating Pet Food using this button. The could be useful, saving Breeding Food and Catnip for your breeding cats. D. Stats – This button is vital to understanding all the traits for the animal you’re looking at. We’ve also added how rare each trait is among all other cats, as a percentage of cats in the same breed. We also break down the point value of each trait. Your cat has the following traits: Scale, Fur, Right Eye, Left Eye, Right Ear, Left Ear, Tail, Teeth, Whisker, Glow, and Shine. 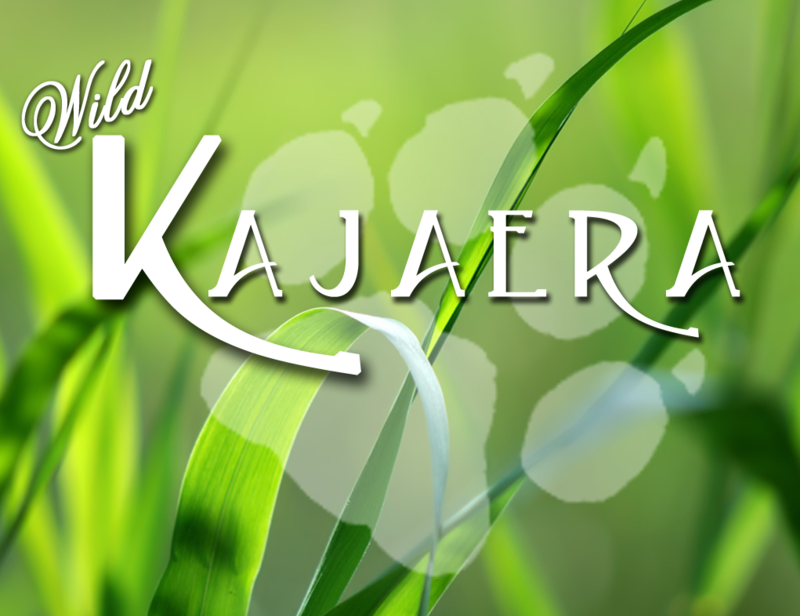 Please resort to the trait viewers or our Blog Page for a list of traits available for all Wild Kajaera animals. E. Parents – This button lists the traits for each of the parents and the rarity values of each trait shown as a percentage and a trait point value. This button, coupled with the Stats Button, will help you figure out what traits will be selected from when breeding your cat. F. Motion – You can manipulate your cat’s motion using this menu and its sub-menu’s. Keep in mind, your cats emulate their real life counterparts. Occasionally, a cat will stray and find itself onto an adjacent parcel or in the Lost and Found folder of your inventory. That’s just part of the fun in trying to contain such vibrant animals. * Range – This option tells your cat to stay within a particular area when it’s moving around on your land. There are a number of preset ranges, along with an option to set your own range for a custom size or irregular parcel shape. * Skybox – This option lets your cat know that it’s in the sky. All of its actions will be limited to the same height from the ground that the cat is on. By default, this setting is in the off position. This option is needed for any skyboxes where the cat can see the ground (approximately 150 meters or less). If your cats are kept on land owned by Linden Labs, and this option is on, your cats won’t recognize any areas in the land where water is pooled. If you want to allow your cats to swim, turn the Skybox setting off. * Set Home – This will mark the position you want your cat to always start from. By default, the Home location will be the spot your cat was birthed from or where it was rezzed from your inventory. * Go Home – Using this option, you can send your cat back to the spot you set as its Home location. This is useful for those rascals that strayed from the Range you have them set for, or cats you want to have arranged close together, ready to mate. * Animations – Your cat has many wonderful animations. With this option, you can either decide to turn the animations on or off. Once the animations are turned off, your cat will look like it’s resting peacefully on the ground. Use this option if your cats are placed on land that doesn’t allow any motion, not even the little amount that they do while Motion is turned off. * Turn On – This button will allow your cat to run, jump, and play around on your land. * Turn Off – This button will stop your animal where it at. It will shift and move around, but no longer run around. G. Help/Web – This button will take you to our Wild Kajaera Blog Page in your web browser. Click the “Go to page” Button to automatically bring it up your web browser. Additionally, it will trigger an open chat message where you can click on the link to open the *WK Wild Kajaera* group information to join (if you haven’t already). Once you’ve joined the group, you can send a group message asking for an on duty CSR to help you. H. Options – This menu opens up a sub-menu with many useful ways you can manipulate the settings of your cat. * Delete – Probably the most dangerous button your cat will have. If you don’t want your cat, don’t want any Sanctuary Points, and don’t want to sell or give it away, you can delete your cat. This is permanent. The Sanctuary is a much better option, as you gain points towards other cats or items from the Sanctuary Vendor. When you delete your cat, you get nothing in return. DO NOT PUSH DELETE you will LOSE any and ALL points. * Sanctuary – This option allows you to send cats you don’t want to sell, are bred out, or are unwanted to the Sanctuary. Consider the Sanctuary as a haven for wayward cats. We will credit your Sanctuary Register with a point value based on the cat’s value at the time of turn in. Factors that go into determining the point value you will receive can be everything ranging from age, to traits, to lineage. The Sanctuary Points you accumulate can be used to purchase a variety of Limited Edition cats and items from the Sanctuary Vendors on our sim. * Display – You can set your cat to cuddle with anyone by turning the display on. When you turn it off, your cat will only cuddle with you or its Keeper. * Text – Turn your cat’s name and stats hover text on and off, as well as change the hover text color with this option. * Chat – Turn what your cat says in open chat on and off. * Effects – Turn realistic particle bursts that occur when your cat is moving on and off. Zeta – effects that are emitted when your cat falls asleep. The “Zzzz’s”. Splash – effects emitted when your cat is in water. Dust – effects emitted when your cat is running around. * Sound – Turn your cat’s sounds, growls and roars etc., on and off. * Set Name (Live Cats) – This button allows you to name your cat any name you wish. You can use a combination of letters, numbers, spaces, for a combination of 32 characters, for the name. * Classified – List’s your cat for sale in the Classifieds section of the Wild Kajaera Dashboard for everyone interested to see. * Show More – When your cat is in the Low Prim option, this menu button be available and will have your cat pop out of its box more or less depending on which option you have it set to. A. Options – This menu opens up a sub-menu with many useful ways you can manipulate the settings of your wolf. * RP – Your wolf has the ability to join you during the time you spend Role Playing. Added to this Definitive Guide to Wild Kajaera, we will go in depth on how to use your wolf to Role Play. For the sake of explaining Menu Buttons for the wolves, we will highlight the main points in a brief overview of the RP sub-menu. Arena – When you want to train your wolf, you will need to set it to Arena mode. Combat – When you want to have your wolf join you in combat, set it to Combat Mode. OOC – When you are done with training and combat, you can take your wolf out of these modes by selecting this button, meaning Out Of Character. 10 minutes – Sets the Arena Training Mode to 1O minutes. 20 Minutes – Sets the Arena Training Mode to 20 minutes. You must let your wolf rest 30 minutes between 20 minute sessions when using this option.